LEGAZPI CITY (June 20) – The Technical Education and Skills Development Authority (TESDA) in the Bicol Region launched on Monday the turnover ceremony of the leadership from Regional Dir. 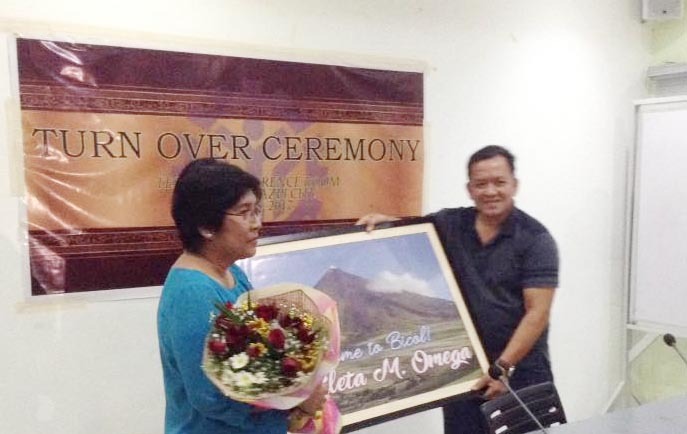 Conrado G. Barez to RD Cleta M. Omega at the TESDA Regional Office. Present in the occasion were the Executive Committee and Management Committee members. In his message, RD Bares said “RD Cleta TESDA Region 5 is yours for the taking”. He also thank the TESDA V officials and personnel for their cooperation in his stint as regional head for the past nine years.